I sell teaching materials that I have created on Teachers Pay Teachers. If you don’t know this site, you owe it to yourself to check it out. 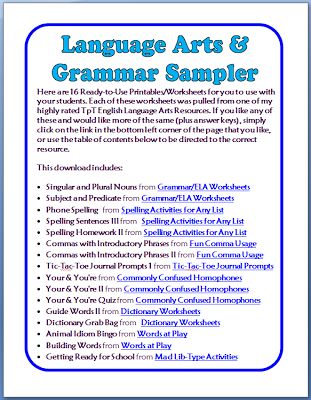 There are literally tens of thousands of teacher-created resources there, and many of them are offered for free! My products are all highly rated and very reasonably priced. You can see (and click on) my most recent products by using the widget on the right sidebar. Lately, I have been making a lot of task cards, which have been very popular. 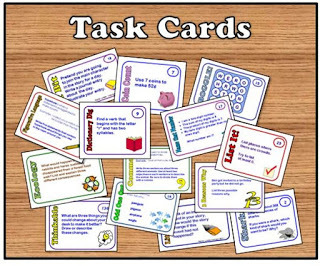 You can find them all here in the Task Card section of my TpT Store. 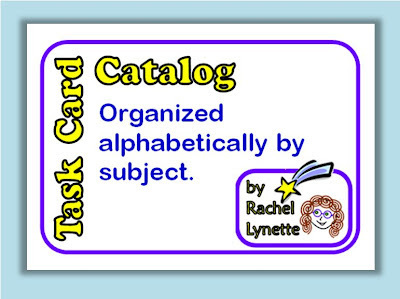 You may also want to use this handy dandy Task Card Catalog to find exactly the cards you are looking for.